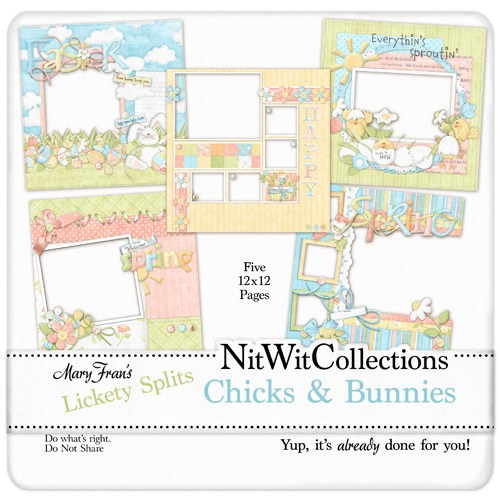 Yup, I had such a good time making my Just Hatched and Bunny Hops Collections that I just couldn't stop! So I figured I'd play some more and before I knew it I had Lickety Splits already to go! hahaha All that's left is for you to insert your photo and add any journaling your little heart desires! How easy peasy can it get, hey? Imagine how quickly you can put together pages to create an album for a special gift for that special someone!